Redruth have launched an investigation after a black opposition player was allegedly subject to verbal abuse by home supporters. 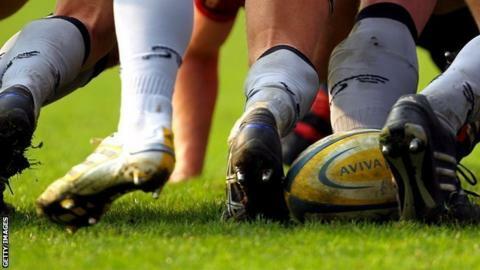 The incident took place during Saturday's National League 2 South match against Canterbury. An email from Canterbury officials to Redruth secretary Roger Watson said wing Kwaku Asiedu had been "jeered". Watson said he was "horrified" by the complaint and those responsible would be banned from the Recreation Ground. "That kind of conduct is totally unacceptable - there is no place for it in sport or anywhere," he continued. "If caught, the people who did this will be banned, at least for the rest of the season, possibly for life if there is a track record or if they can't see the error of their ways. "If they are members, that membership would be terminated at least for this season." Watson said the implication of Canterbury's email was that the abuse from the East Bank had been racially motivated. "The player concerned was black and he was the only one in receipt of it," he said. "When people come to Redruth to watch rugby we have a duty of care to players and officials who are in the ground. "We acted as promptly as we could with a statement on the website, and are making inquiries with people we know who stand in that section of the ground to see if we can identify who did this." Saturday's match, which Redruth won 36-19, was watched by a crowd of 809. In response to the incident, the programme for the club's next home match against Chinnor on 20 October will feature an article on the importance of respect for players and officials.